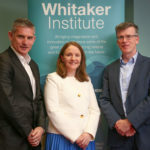 Dr Jane Walsh is principle applicant from NUI Galway on a successful €4,115,121 Horizon 2020 grant for a project entitled: INCluSilver: Innovation in personalised Nutrition through Cluster cooperation in the Silver economy. Dr Jane Walsh will lead on market intelligence and strategy in collaboration with her Psychology colleague, Dr Michael Hogan. 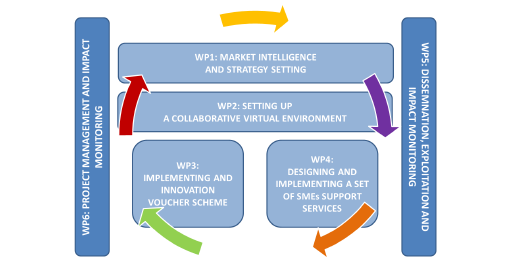 INCluSilver is funded under the Industrial Leadership Pillar within Horizon 2020 Framework (Innovation Action for SMEs). Merrill Lynch* estimates the Silver Economy at $7 trillion per year, which makes it the 3rd largest economy in the world. By 2020, the private spending power of the elderly generation will reach $15 trillion globally. As for public spending: in the EU, it accounts for 25% of GDP or about 50% of general government expenditure and it is projected to grow by more than 4% of GDP until 2060. Europe is well prepared to benefit from the worldwide ageing trend and the European Commission is already pursuing policy initiatives relevant to the Silver Economy. Europe is going through a major societal challenge in the form of a rapidly ageing population, due to increased longevity combined with stagnating or falling birth rates. The 65+ population, as a percentage of the population aged 15-64, is expected increase from 26% in 2010 to 53% in 2060. The rapid demographic ageing is one of the main factors determining future EU and global economic development. It is a major societal challenge as well as a major opportunity for economic growth and job creation. 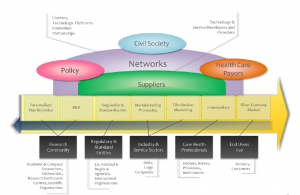 Stimulating the market of personalised nutrition products and services by addressing the needs of the silver society may result in a massive pull-effect on existing or emerging markets and could affect the Health Care systems.